If anyone tells you that you can't carry with an H&K VP9 ankle holster, just block them out. You don't need that kind of negativity in your life. 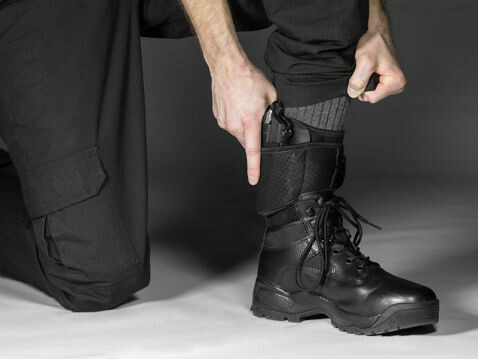 It's not only possible, it's possible to do so with an ankle holster that carries comfortably and securely. Our ankle holster for VP9 pistols has been painstakingly designed to carry more securely and more comfortably than other ankle holsters. 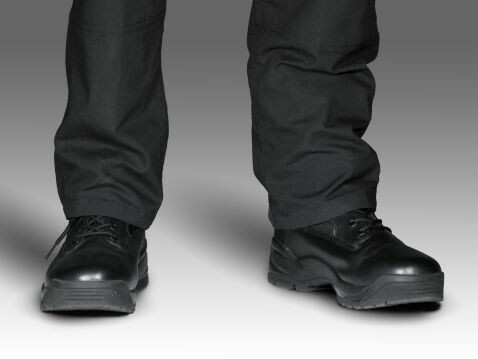 You'll also notice the custom fitment and adjustable retention fit the pistol and keep it far more secure than any other ankle holster. Think that a VP9 ankle holster can't carry securely? That's because no one makes one like we do. 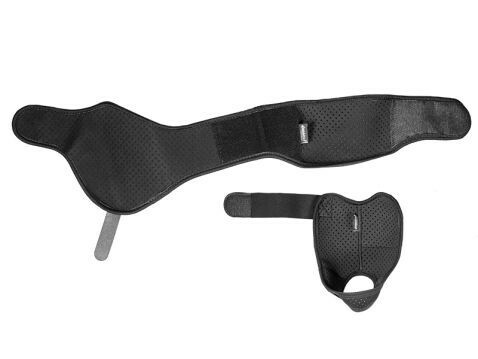 The two-piece strap combines an ankle wrap, which the holster sits on, with a heel strap. The ankle wrap docks with the heel loop via a durable polymer insert, creating horizontal and vertical stability. That creates a platform strong enough to carry the VP9 on the ankle. 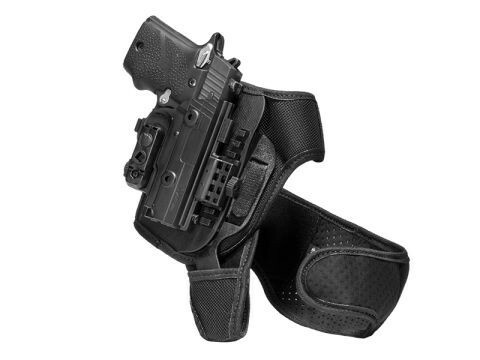 An ankle holster for VP9 pistols would have to be built tough to work, but you'd think that would make it uncomfortable. Think again. 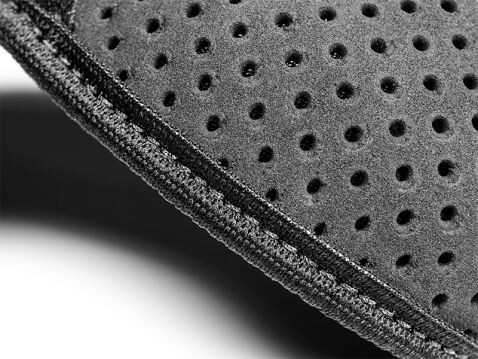 The strapping is plush, with our CoolVent perforated neoprene breathing against the skin and wicking away moisture to keep you cooler and drier than other ankle holsters. Ride height is also adjustable. Set it higher for use with boots or lower for carry with casual footwear. The custom fitment and adjustable retention of the ShapeShift holster will give you the confidence to carry this holster very day. We custom-mold the shell for the VP9 and the VP9 alone - it won't even fit the VP40 - so the holster fits perfectly right out of the packaging. The Shift Shell fully wraps the trigger guard for extra security and the retention is totally adjustable. Dial it in exactly how you want it. Don't think you really can ankle carry this gun? 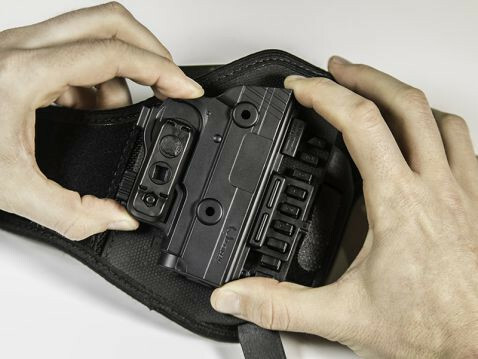 Take this VP9 ankle holster for a 30 Day Test Drive. Alien Gear's Iron-Clad Guarantee includes a 30 day trial period after purchase, during which you can return the holster for a full refund. 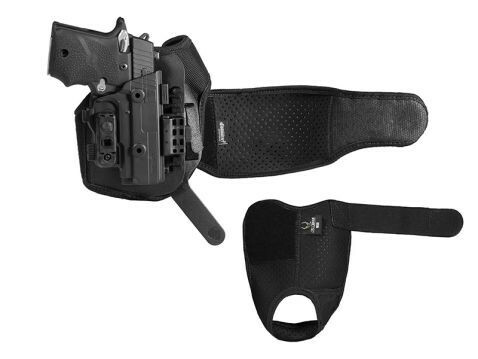 We also fully warranty the holster for life against any defects or damage. If you're looking to shift into ankle carry, this is the best ankle holster for the VP9 to do it with.